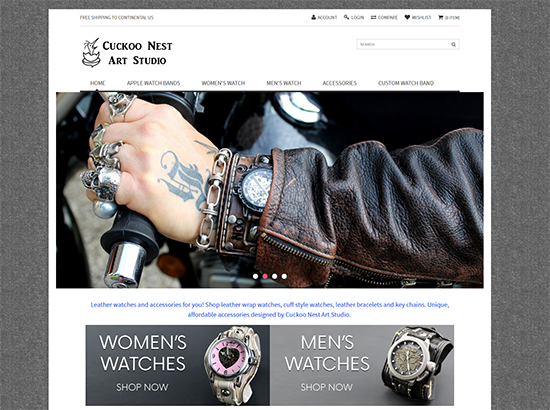 Cuckoo Nest Art Studio hand-crafted leather Apple watch bands to create long-lasting, durable, and high quality pieces that turn your Apple watch into a piece of fine art. The bands are made from vegetable-tanned leather, and each piece is hand cut and dyed so that no two watch bands are ever the same. Their handmade pieces are guaranteed to last because they are created with attention to detail for the best quality available. Superior craftsmanship combine with artistry and design to provide you with the coolest and most creative leather Apple watch bands available.